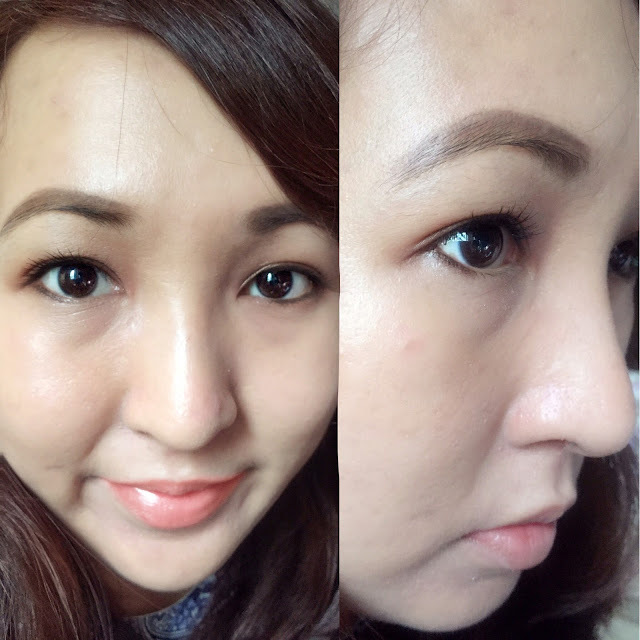 I love mascara and I am always on the lookout for the best ones out there.I've found quite a few impressive ones but there's always a new product that comes out in the market. 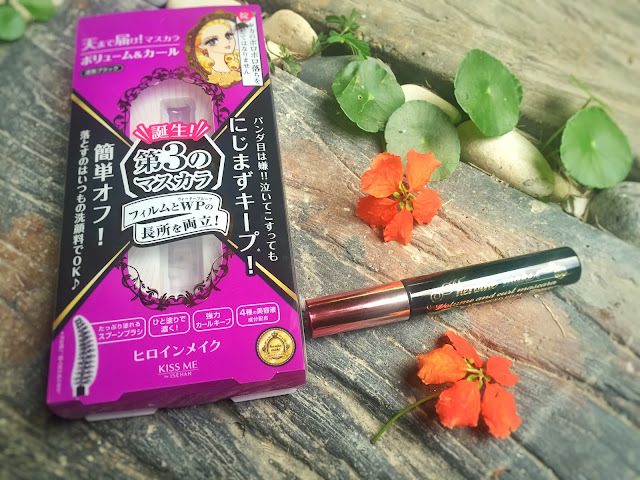 Recently,I was given a tube of Heroine Make Volume & Curl Mascara Advanced Film from Kiss Me for me to review.Now,I love Kiss Me and I have blogged about their products in the past.It's such a great Japanese cosmetics brand. They came out with a new mascara and it's different from any of the mascaras that I have in my collection.What makes this tube of mascara different from all the others is that,the formula makes the mascara smudge proof and waterproof but yet,it can easily be removed using facial soap.That is amazing! I've a few waterproof mascaras and they're always so difficult to remove.Even when I use makeup removes like Bioderma or makeup wipes,there will always be traces of the mascara left on my lashes. This mascara also contains 2mm fibers,which makes it super thickening and have great volumizing effects for your eyelashes. The formula also ensures that the mascara doesn't flake and gives you that panda effect on your undereye. The ingredients in the mascara are camellia oil,royal jelly extract,argan oil and wild rose oil.Clearly you've heard about those ingredients and how great they are for our hair and skin.Imagine putting them on your lashes! 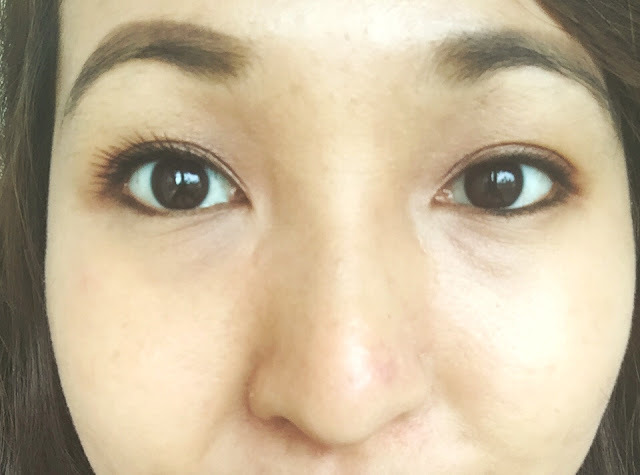 You can see from the picture below how the mascara just transform my lashes and makes my eyes pop! Left:Wearing the mascara only on my left eye. I definitely love this mascara and would recommend you girls out there to buy it.It's especially great to be given as a gift as well,because look at the kawaii packaging.It's so cute! The mascara is available for purchase at selected Sasa and Watsons outlets across Malaysia for RM 49.90.So go and get yours today!